Different companies offer different types of CNC machining services based on customer demand and expertise. However, these services all focus on the manufacturing or fabrication of parts used for a wide range of industries. In addition, machines are designed to work on the same materials to include aluminum, alloy steels, carbon steel, iron, stainless steel, brass, bronze alloys, plastic, and more. Read more! CNC Machining is the acronym for Computer Numerical Control, which is a type of automated milling process used to manufacture various components for industrial purposes. One of the key benefits is that the work is performed without any human assistance. Read more! CNC milling is sometimes referred to as CNC machining, which operates using commands or G codes programmed from an internal computer. 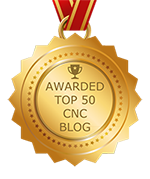 CNC, the acronym for Computer Numerical Control, consists of alphanumeric codes, each leading to very specific functions performed by a machine. In the 1950s, the Massachusetts Institute of Technology and United States Air Force created numerically controlled milling or NC. CNC milling is simply an extension of that. With the original NC, helicopter blades were created thanks to coded programming but then in the 1960s, public companies began using the process Read more! Today, 3D printing has become the rave. For most techniques, a hot plastic extruder is used to create a printed plastic model, which differs from other fabrication tools that begin with a solid piece of material and then use a special cutter to eliminate excess. While 3D printing is fun, many people firmly believe there are more advantages to precision CNC machining, which includes mills, saws, lathes, drills, and other subtractive tools. In reality, precision CNC machining using a milling machine or router is nothing more than the equivalent of a 3D printer. While 3D printing is the better choice for hobbyists, machining is used specifically by highly trained professionals for fabricating parts for a wide range of simple to complex industries. NexGen Machine Company has been providing customers with excellent service and superior CNC machined parts since 1973. Although some processes are considered standard for our type of business we also offer custom CNC milling. Our goal is to ensure customers are never provided cookie-cutter solutions but instead, services that will help their company succeed. Regardless of the material being worked or the type of part, our team of professionals uses their expertise in custom CNC milling to ensure everything is approved, not just aesthetically but also from a functionality standpoint. By using three-axis milling machines, we have the ability to milling up to six orthogonal sides of a part and multiple features.